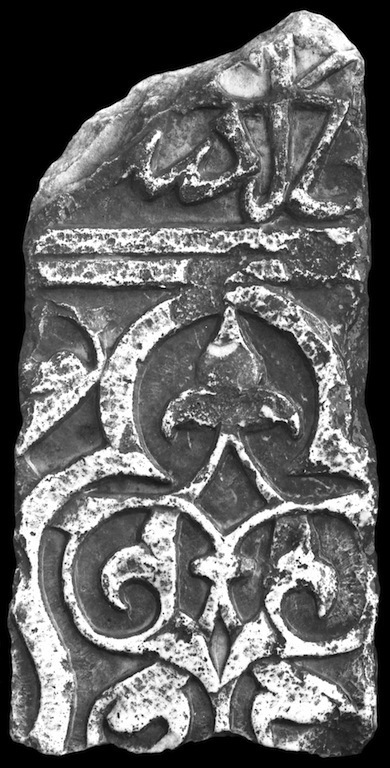 Dado carved in bas-relief (type 17a). 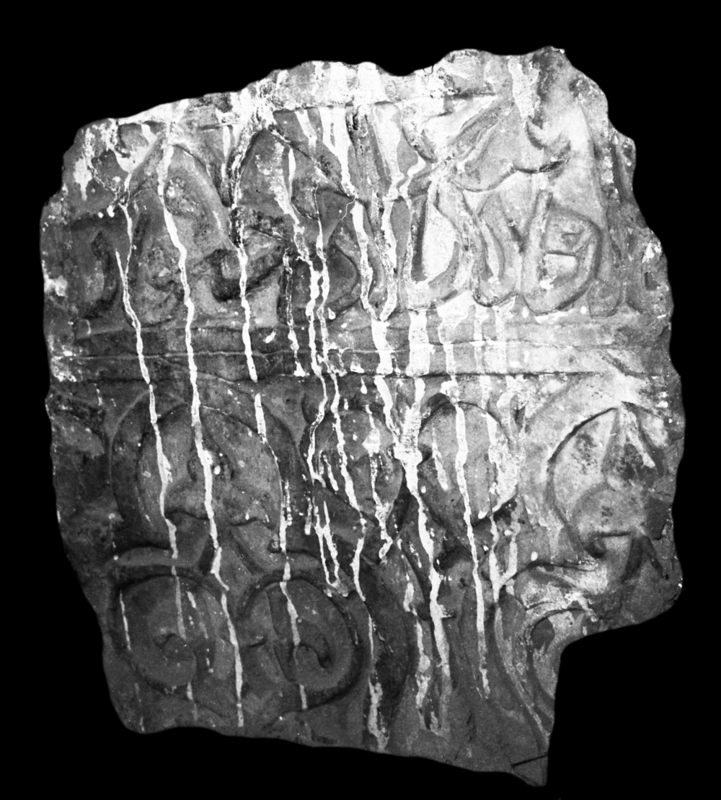 The decoration is composed of three horizontal sections: the upper section consists of an epigraphic band in cursive script, the middle section of a sequence of interlaced trilobated arches, the lower section of a sequence of rolled up half-palmettes (usually one). The trilobated arches are set against a vegetal pattern of interlaced half-palmettes and fleur-de-lis. 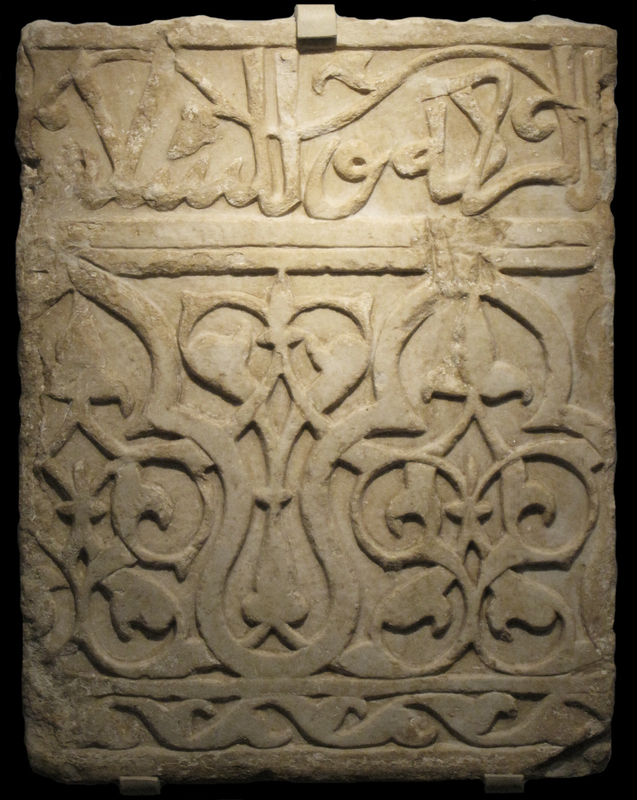 The height of the only complete panel with known dimensions is 57.5 cm; its width is 45 cm and its thickness 4.1-6 cm. 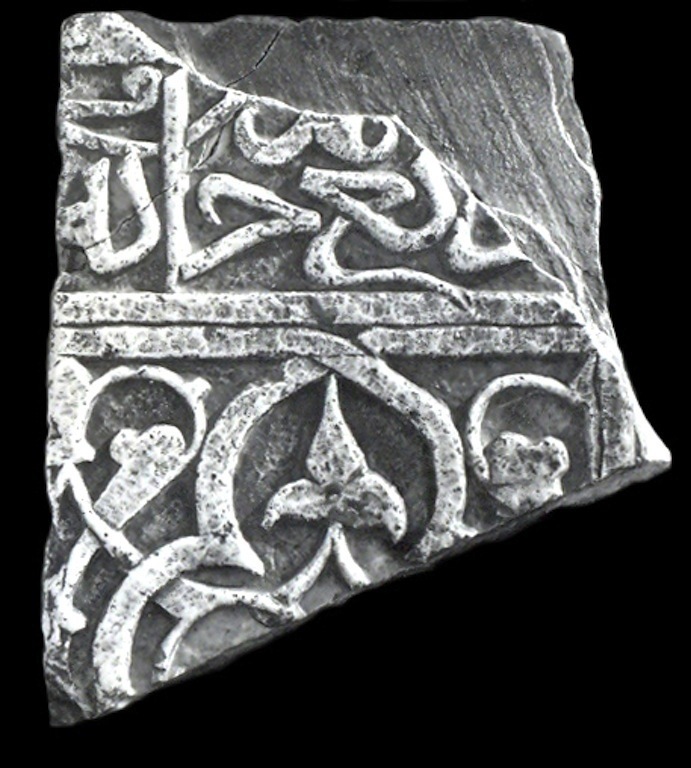 The artifacts were found re-employed in the Ghazni area (the surveys occurred in the late 1950s-1970s); one artifact was first recorded in the Ghazni new storerooms in 2002. 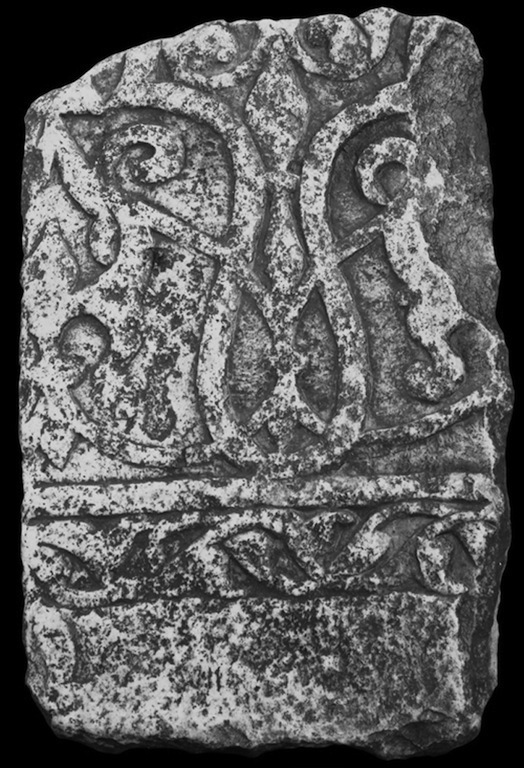 Type 17a differs from dadoes type 17b mainly for the style of the script, the vegetal motifs and the sequence of rolled up half-palmettes (not two interlaced ones).